Next up in our set of guest posts for the week is brought to you from Kim Garr of C’est la Vegan. She is the talented baker behind C’est la V Bakeshop, here in Los Angeles. 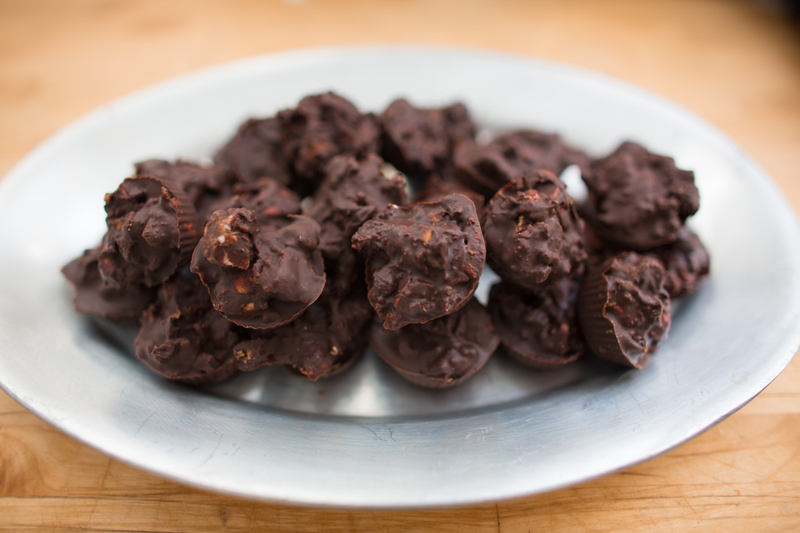 She comes up with some really great recipes, especially some of her treats for entertaining. My mother enlisted her to do make scones and biscuits for my bridal tea. Kim is sweet woman and I’m so pleased to be able to share one of her recipes here. I’m such a huge fan of Cute and Delicious, and I’m so excited to be doing a guest post while Alix and Shawn enjoy their honeymoon! I actually used the idea of a honeymoon as my inspiration for this dish, hoping to come up with something that would make for a really decadent breakfast in bed. I think this Chocolate Ricemellow Creme Panini with Raspberry Dipping Sauce fits the bill nicely, though I would gladly eat this any time of day – honeymoon or not! This is actually very simple to make, and if you don’t have access to vegan ricemellow or marshmallows, you could substitute peanut butter instead, or just do a plain chocolate panini sandwich, which would still be really delicious. The Raspberry Dipping Sauce is easy to make, and the tartness of the raspberries really helps to cut the sweetness of the sandwich. 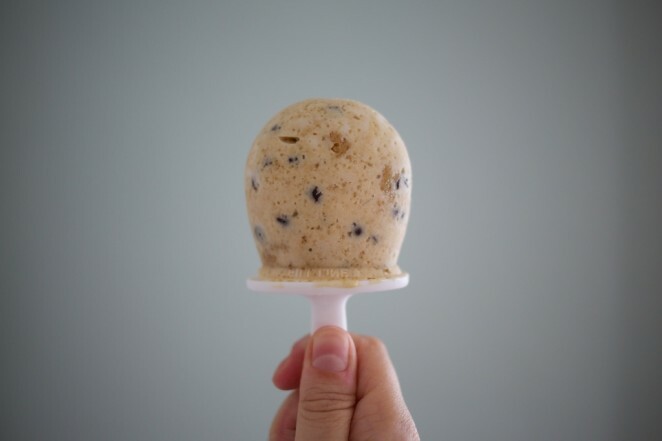 This ooey, gooey treat is so incredible, and I’ll definitely make it again. It kinds of feels like a special occasion sandwich to me, but let’s be honest, I could easily count a movie night as a special occasion! I hope you enjoy this as much as I did! Wash the raspberries and place them in a small saucepan over medium heat with the agave nectar (you can start with less agave and add more, depending on the sweetness of your berries). Once you start to hear sizzling, stir the berries and start to break them up with a fork. Turn the heat down, and simmer the mixture for a few minutes. Remove the pan from the heat. Heat your panini press or a large skillet. Spread the margarine on the outsides of the slices of bread, or melt it in the pan if you don’t have a panini press. Turn the bread over, and on the inside of each slice, spread 1-2 tablespoons of the ricemellow creme evenly over the bread. Spread the chocolate chips over the ricemellow creme, and press the two sides together with the Earth Balance on the outside. Place the sandwich in the panini press, and cook until the chocolate is melted. Serve with the warm raspberry dipping sauce. Enjoy! Hello my dears. It’s nearly Christmas and I’m bringing you another cookie recipe for the holiday. This is the most festive of the bunch for sure. While there were a few more in my agenda, I’ve been a bit overwhelmed and unable to make all I set out to. These cookies should totally make up for that though. One of the most fun parts of making these is decorating with crushed candy canes. Not only do you get to take your holiday frustration out on some candy canes in pulverizing them (I used a hammer), but they make the cookies look like pink shiny snowy Christmas cookies. I love it. The cookies are crunchy and rich. 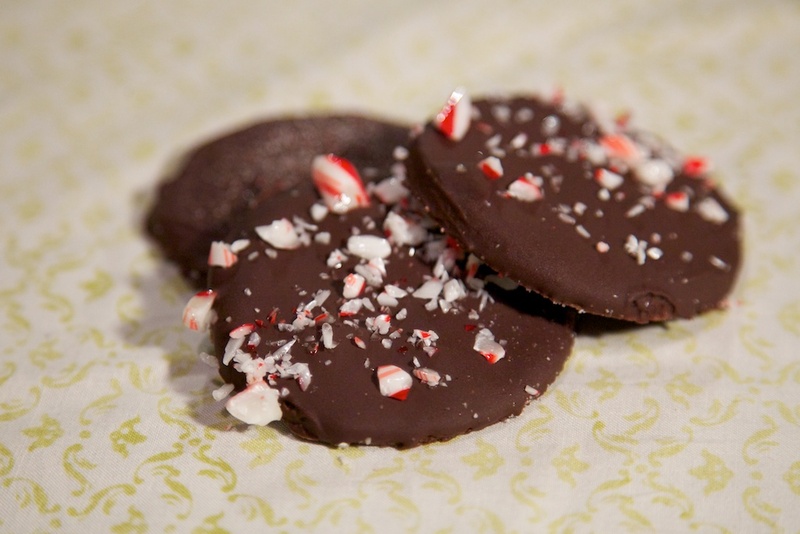 The peppermint is refreshing especially paired with the sweet chocolate. The original recipe used white chocolate but I much prefer dark chocolate, so I went with that. 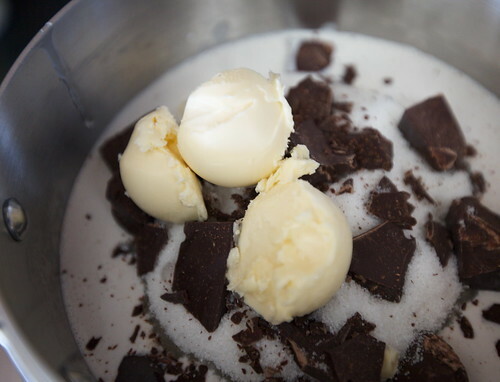 In a medium bowl, whisk together the flour, cocoa, espresso, baking soda & powder and salt, then set aside. Using an electric mixer, beat together the Earth Balance and sugar. 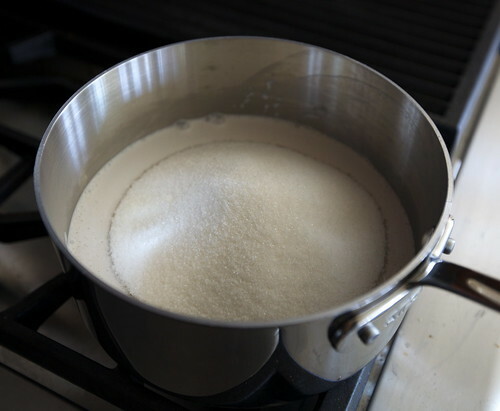 Gradually add the water and egg replace mixture and continue to beat until well combined. Add in peppermint extract and continue to beat. Add in the flour mixture a little at a time and beat until the dough just comes together. Shape into two disks, wrap in plastic and refrigerate for at least and hour. Preheat oven to 325° and line two baking sheets with parchment paper. Roll out the dough into until it is 1/8 inch thick. Use a 2″ cookie cutter to cut cookies and transfer to prepared baking sheets. Cool in the freezer for 15 minutes and then bake until crispy, about 12 minutes. Move parchment with cookies on it to a cooling rack and let cool. 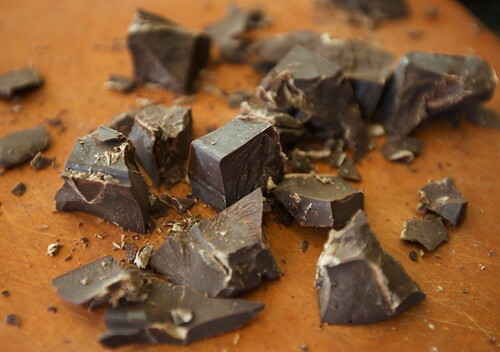 Using a double boiler or a bowl set on top of a pot of water, melt your chocolate. Once it is smooth, let sit on stove so that it cools enough to not burn you, but remains soft. 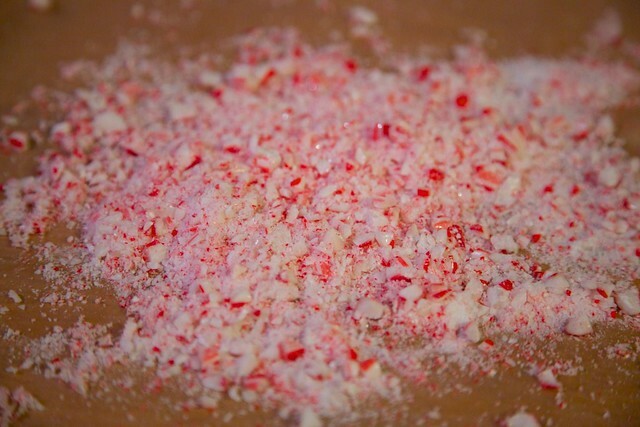 Sift your crushed candy canes into a fine powder and separate chunks. Set aside both to decorate. If it is particularly humid, you may have to sift the powdered peppermints again. Dip the tops of each cookie in your melted chocolate making sure the entire top is covered, but tapping off any excess. I found this was easiest to do with my fingers, but be careful if your chocolate is still hot. It cold easily be done with a fork or tongs (chopsticks?). Sprinkle the crushed peppermint chunks on half and the peppermint powder on the other. Let set in the fridge for at least 3 hours. Best eaten within the next day. For more holiday cookie ideas, check out the recipes for these Molasses Sandwich Cookies. Or try your hand at these Mexican Hot Chocolate Cookies. There are these delicious Oatmeal Cranberry Cookies. Adorable, sweet Lemon Icebox Cookies. Or the awesome Espresso Bean Shortbreads. What is the one food you remember from your childhood as being better than anything else? Was it the sugar cookies your grandmother made? The grilled cheese sandwich your dad grilled especially for you? Maybe that’s not it, but there was something, wasn’t there? And you’ve never been able to find something as good anywhere else. 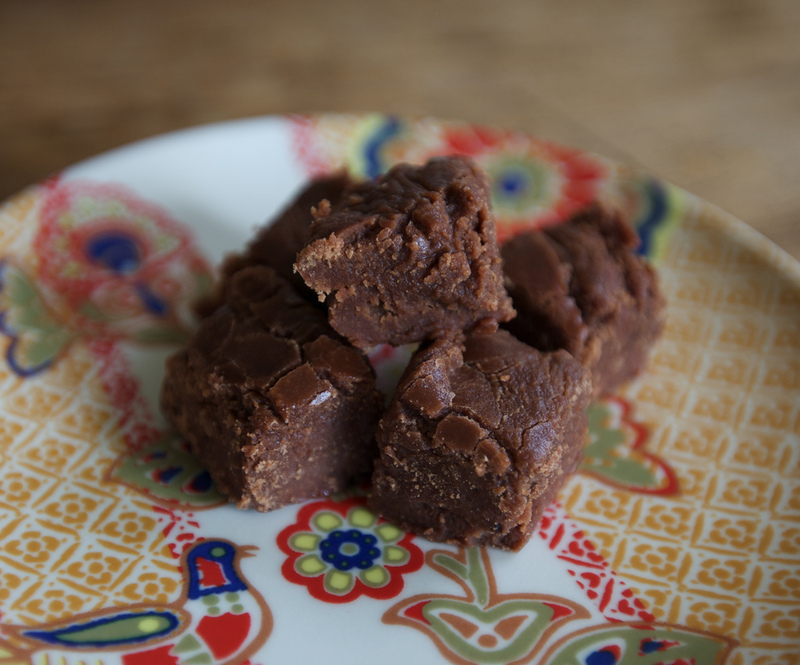 For me, the one thing I remember as being incomparably amazing was the fudge my mom made. Even though she would usually sabotage it with walnuts, I would sometimes get a small batch just for myself. It’s been years and years since I’ve had anything even comparable to that fudge. I mean, even before I was vegan, there wasn’t anything nearly as good. Finally, my mom agreed to show me her recipe step by step so I could veganize it. She even said it was ok for me to share it with you, which I think is pretty generous, considering it is the best fudge ever. Thanks mom! Put everything in a medium sauce pan and stir together. Turn the heat on to medium high and stir occasionally so that the chocolate melts evenly. 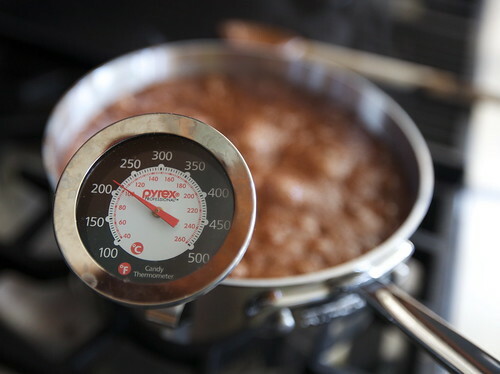 Bring to a boil and using a candy thermometer, or your cunning senses, heat slowly to the firm ball stage, about 240° – 250° F. If you want your fudge a little creamier you don’t have to go quite this hot. To check the firmness, you can spoon a small bit into some cold water. Take out the cooled piece and roll between your fingers. The harder it is, the firmer your fudge will be. Once it reaches the desired temperature, remove from heat and allow to cool for a few minutes. In the mean time, grease a pan to put your fudge in. 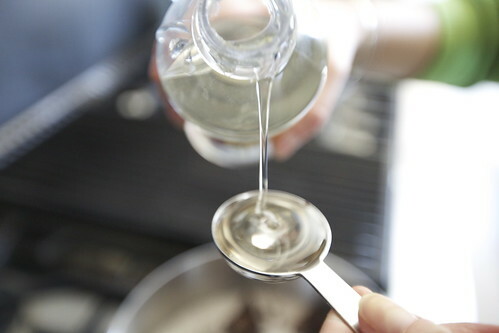 Mix in 1 tsp of vanilla. If you’ve made it through all that, get ready for the hard part. 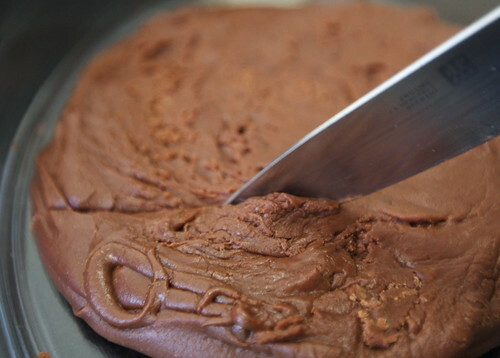 Using a spoon, beat the fudge so that air is incorporated into the mixture. Don’t stir, beat. If your arm doesn’t get tired, you’re not doing it right. In fact, you might want to have a backup beater on hand to help you. My arm is still sore from this part actually. 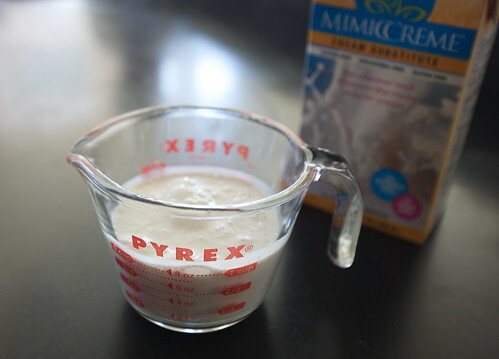 Do this for a couple minutes, until the mixture is a bit fluffier. Pour the fudge into your prepared pan and smooth over a bit. Slice into chunks once it has cooled somewhat, but is still slightly warm. You probably want to use a butter knife as well and not a ridiculous sharp one like the one above. Also, go ahead and make those chunks pretty small, you’re better off this way. You can totally snack on some bits here when it’s still warm, but know once you start it will be hard to stop. I personally like it best once it has cooled completely and hardened. So the verdict? It’s almost exactly the same as I remember it. 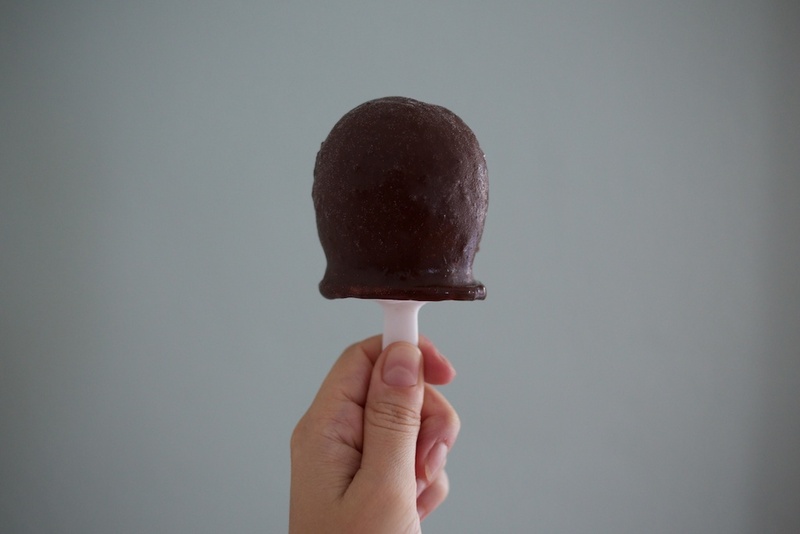 That sugary sweetness that melts in your mouth with a rich chocolate flavor. The flavor of the mimicream definitely has a subtle effect, but in the end one I like, giving it just a hint of nuttiness. I may try a few variations, and practice my beating technique, but I wouldn’t hesitate to say that it was a complete success. I should also probably mention this is the recipe for a double batch so go ahead and half it if you like. Although you might not want to. On the other hand, you might eat it all in one day so beware. Not that anyone I know would do that. Never.